These general conditions of sale apply, as part of the distance selling service of HHO PLUS LDA, to all sales concluded through the website www.hho-plus.com. We may modify the present G.S.C at any time, subject to showing these changes on our site. 2.1 The prices of our products are indicated in Euros all taxes included excluding shipping costs. 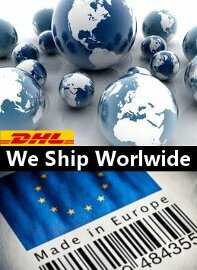 2.2 All orders, whatever their origin, are payable in Euros. 2.3 HHO PLUS reserves the right to change prices at any time but the products will be billed based on rates in effect at the time the order is registered subject to availability. Price and product availability information is subject to change and is for informational purposes only. Your order will be shipped upon receipt of your payment. The contractual information is presented in French and will be confirmed at the latest at the time of delivery. HHO PLUS reserves the right to cancel any order from a customer with whom there is a dispute over the payment of a previous order. When you click on the Validate button after the ordering process, you declare to accept this one, as well as the entirety of the present general conditions of sale, entirely and without reserve. 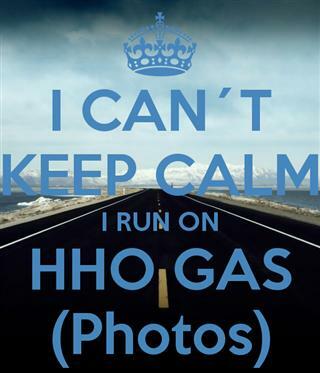 The data recorded by HHO PLUS is proof of all transactions made by HHO PLUS and its customers. The data recorded by the payment system is proof of financial transactions. Our product offers and prices are valid as long as they are visible on the site, while stocks last. In case of unavailability of product after placing your order, we will notify you by email, as soon as possible. The products are delivered to the delivery address you indicated during the ordering process. The delivery time includes the preparation time of the package and the time of delivery. If you choose to pay by check, the order will only be processed upon receipt. Consequently, the deadlines applicable in this case are those on the day of receipt of the check and can therefore be modified from those mentioned on the day of placing the order. Shipping costs are based on the number of items ordered. Remember to group all your items on one order. We will not be able to group two separate orders and you will be charged for each of them. The products remain the property of HHO PLUS until full payment of the price, if necessary plus interest. This provision does not prevent the transfer to the customer of the risk of loss or deterioration from the moment the products have left our premises. We remind you that our transactions are carried out in a secure environment. The items provided by HHO PLUS are new and guaranteed. You have a right of withdrawal of 14 working days, from the receipt of the product ordered to return it. If the product does not suit your needs, shipping and return costs are your responsibility. Telephone: Monday to Friday from 9h to 12h and from 14h to 18h to 00351 244697116 . In case of refund, we guarantee that it is made by check in a period less than or equal to 4 weeks from the date of receipt of the returned package. This is so for the fund rules as for the rules of form. In case of dispute or claim, the consumer will first contact the HHO PLUS LDA. to obtain a friendly solution. In case of other disputes the place of performance is the commercial court for both parties.